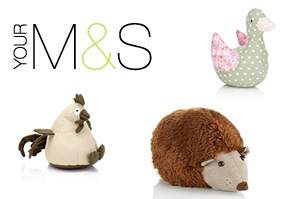 Latest news from M&S website – 30% off their hedgehog doorstops!! 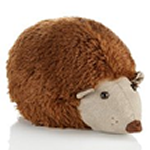 Perfect for holding open your childrens doors – this lovely fluffy door stop also adds tenderness in your house. We don’t know how long Mark & Spencer will run this promotion for so hurry or you will miss out on a great deal! Also available at the same price are the French hen Doorstop and the Fabric duck doorstop.